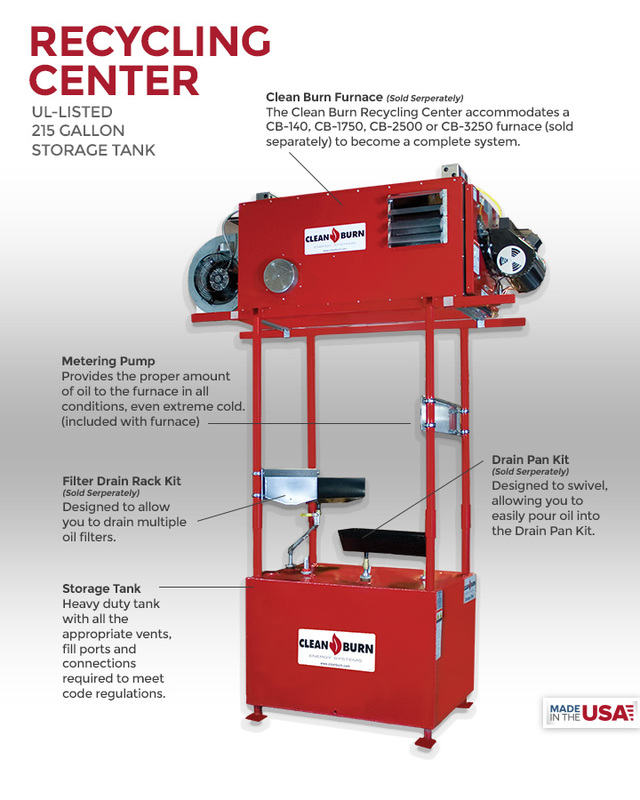 A Clean Burn Recycling Center makes oil handling and free heat generation easier because it combines the tank and furnace in one convenient unit. 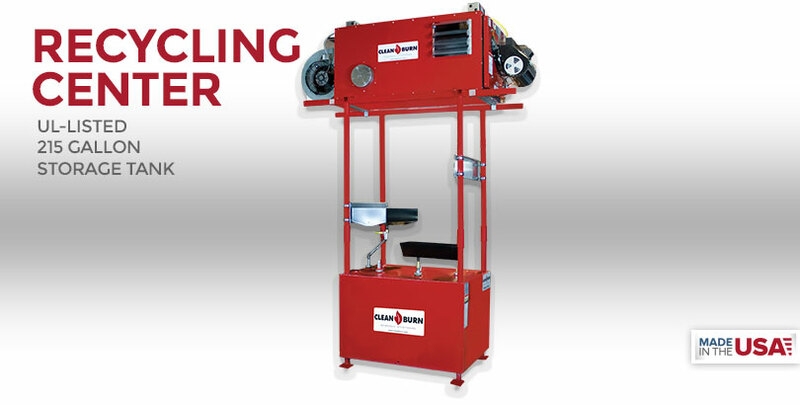 Your Clean Burn Distributor is a qualified expert in system selection, installation and service, and will make sure you get the system that is perfect for your facility. *Approximate system dimensions with Clean Burn furnace installed.